That’s right, I said cat balls. 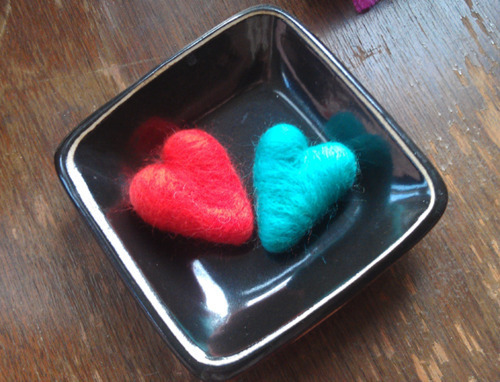 Last year I started experimenting with needle felting. 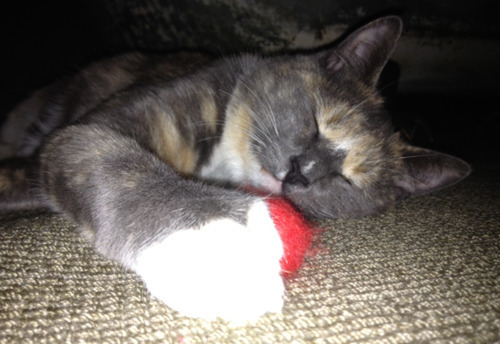 One of the first items I created was a wool and catnip toy. I ended up creating a Christmas card to feature the toy. 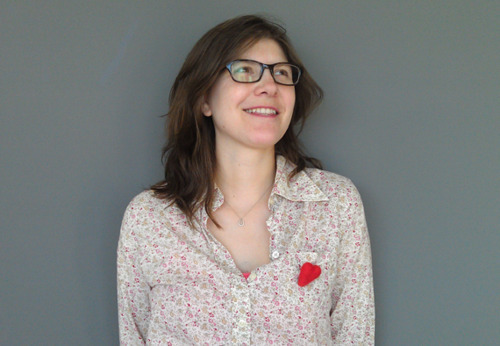 During my prototyping process I gave some friends my experiments. I’d used some wool I’d had on hand which wasn’t the most pretty of colors. 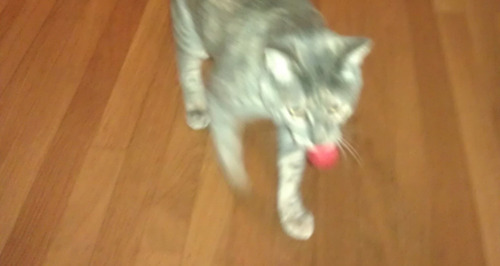 The joke was made “Are you giving me a cat’s ball? Did your cat throw this up?” The crudeness of the jokes have lingered with me and I decided to see it through to fruition. 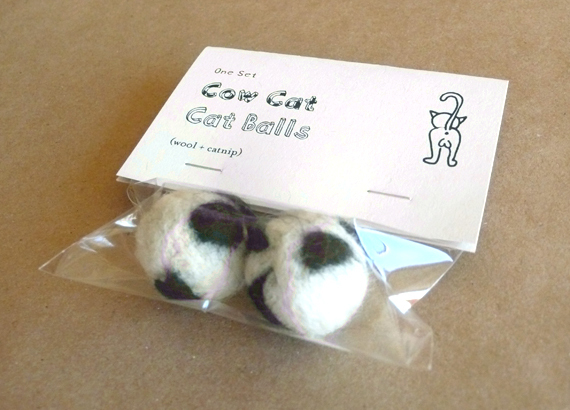 So yes, now I am a seller of cat balls. 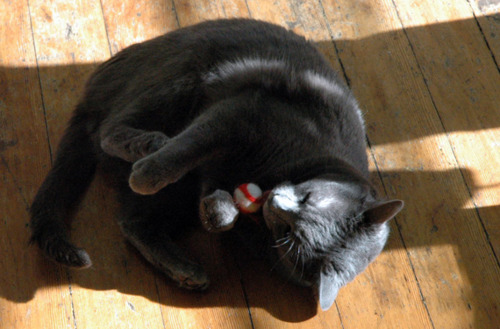 Imitation cat balls. 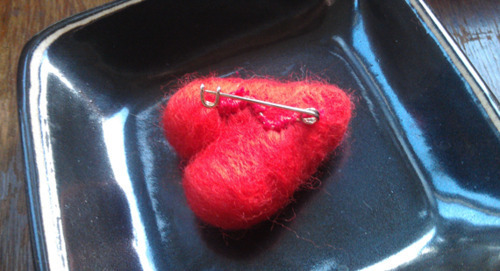 Posted in Wool and tagged with cats, catnip, crude craft, wool felting, cat toy, wool, cat balls. November 27, 2012 by Shasta Garcia. 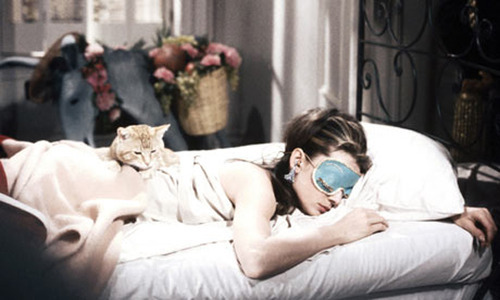 Felted sleep mask; Breakfast at Tiffany's edition. 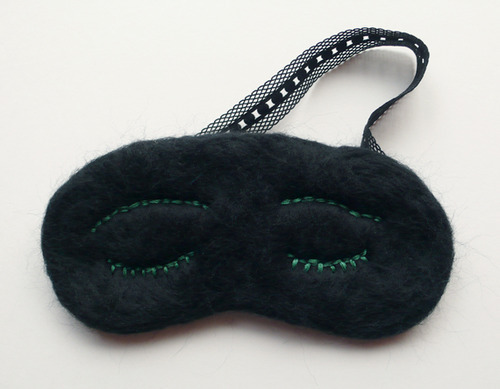 This is not the first time I’ve made a felt sleeping mask for a theme. This gift was inspired by the theme; my friend is moving to New York! People either use sleep masks or they don’t so when I heard she does I knew what I’d be making her. And with the NY connection, Breakfast at Tiffany’s seemed like the perfect additional inspiration. If you haven’t seen this classic film watch it! Because I was making her the mask I thought she should have the ear plug ear rings to go with. Still not sure what to call these; ear plug rings? Posted in Wool and tagged with ear plugs, felt, breakfast at tiffany's, ear plug ear rings, jewelry, sleeping mask. July 18, 2012 by Shasta Garcia. 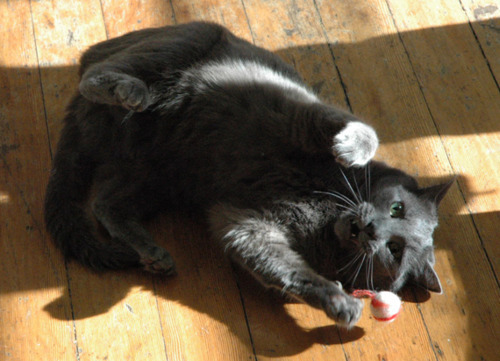 A blog wouldn’t be a blog unless it had cat pictures right? Luckily these kitties are totally relevant to my crafting. They all received my wool cat nip treats for Christmas. Thanks for the pics, Jaii, Amy, Alan and Chad. Posted in Wool and tagged with cats, catnip, wool felting, cat toy, wool. February 21, 2012 by Shasta Garcia. I have a cat. I think I have a fairly healthy relationship with him and don’t see a future for myself as a crazy cat lady. 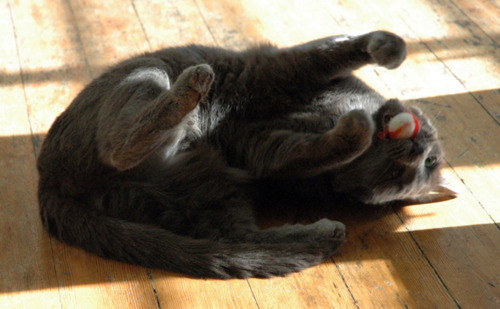 I am inspired to find amusements for my feline friend. One of them turned into this card. Noses: Made of wool and catnip and are meant to be pulled off to be chewed and mangled by the recipients cat. 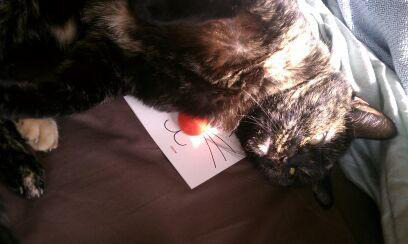 Posted in Letterpress, Wool and tagged with christmas cards, catnip, cat toy, letterpress. December 7, 2011 by Shasta Garcia.